D.J. 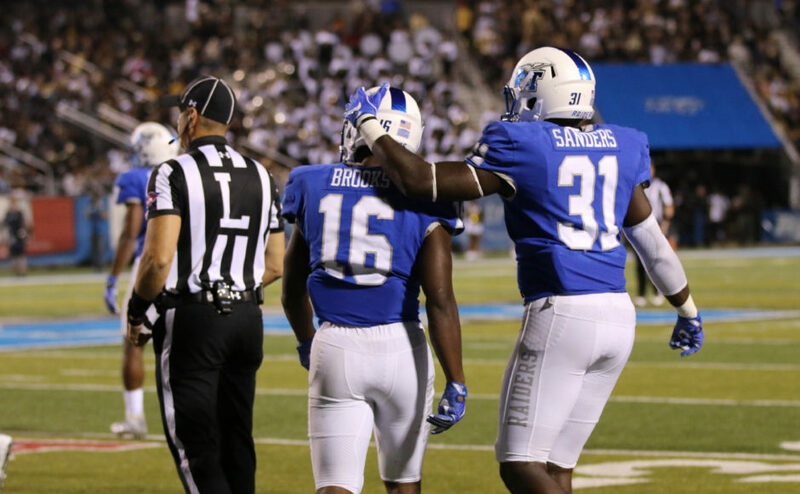 Sanders congratulates Khalil Brooks after making a play against Vanderbilt on September 2, 2017 in Murfreesboro, TN (Devin P. Grimes/MTSU Sidelines). 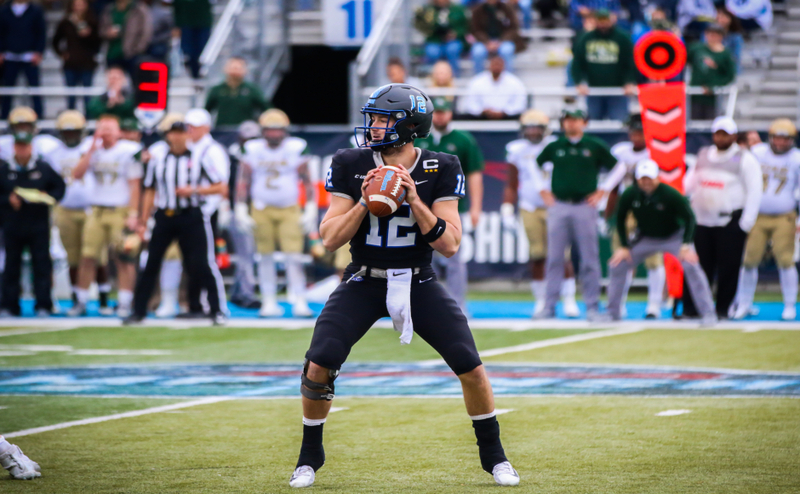 Middle Tennessee quarterback Brent Stockstill and linebacker Khalil Brooks both won Conference USA player of the week awards for offense and defense, respectively, for their stellar week two performances in the Blue Raider win over Syracuse. 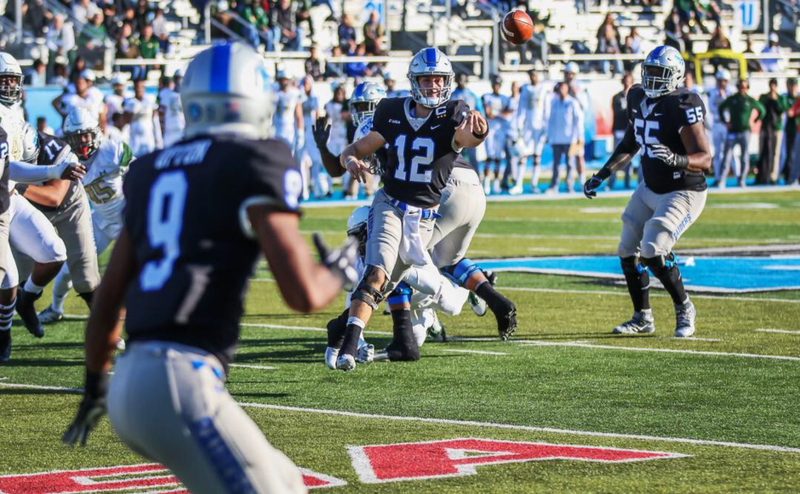 Stockstill got the Blue Raider offense back on track, completing 22 of his 36 attempts for 269 yards and three touchdowns. 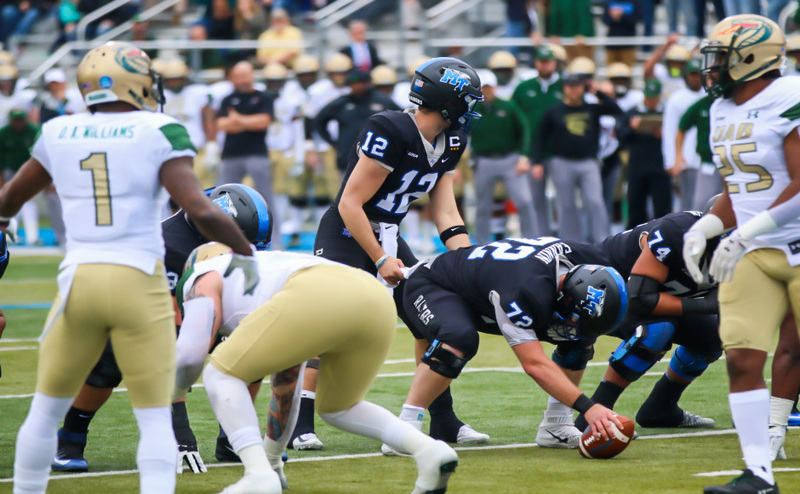 Stockstill’s three touchdown passes helped the Blue Raiders storm back in the second half to score 21 points after only scoring nine in the first. 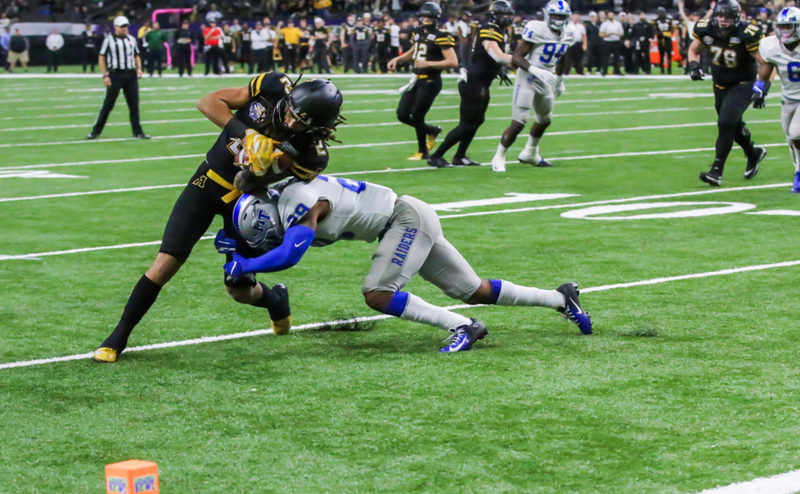 Brooks tied with safety Jovante Moffatt for the leading the team in tackles with eight, including 2.5 for a loss and 1.5 sacks. Brooks, who leads the team in tackles with 13, was a key contributor in holding the high scoring Syracuse offense to just 23 points after they scored more than 50 in each of their past two contests. 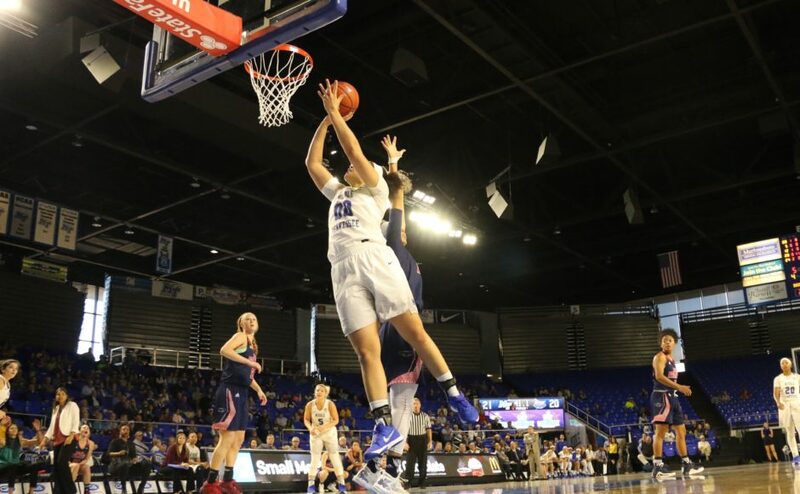 This is the third time Stockstill has won C-USA P.O.W. honors and Brooks’ first. Follow MTSU sports reporter Anthony Fiorella on Twitter at @A_Fiorella74 for more coverage.